New release from 12-3 Recordings! Big debut from these Stockholm boys, check it! 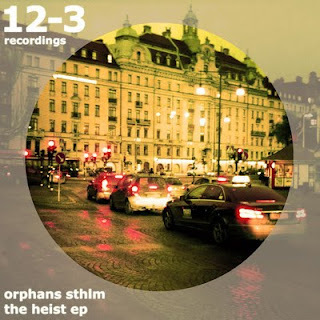 Stockholm duo Orphans STHLM makes their debut on 12-3 Recordings with a pounding, classic sounding tech house-track. Light stabbing samples, great breakdowns and epic build ups defining The Heist, as we are most proud of releasing it. Orphans STHLM share a long passion for house music, a nerdy interest in obscure label catalogues, and loves video games. Their tunes share a freshness easy to appreciate. They are, to describe it in two words, nice dudes. Do not sleep on this one, you need it in your sets!